There's unique, and then there's Uneek. 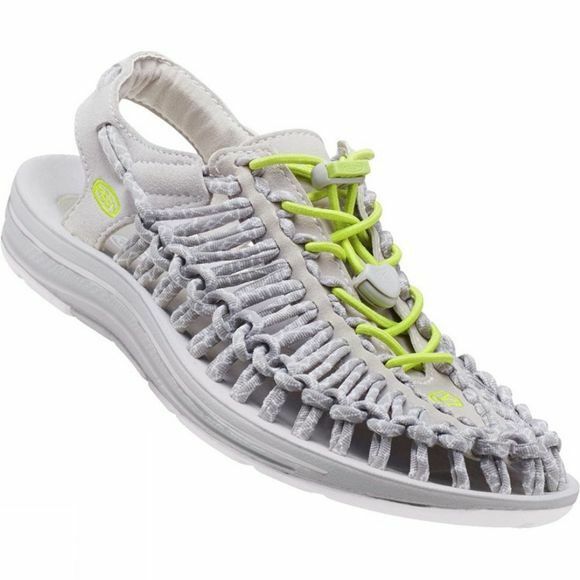 Using innovative two-cord construction, the Keen Women's Uneek Round Cord Shoe molds to your feet for the perfect fit. The two cords and a simple, free-moving cord junction design allow the upper to move and adapt to the shape of foot. This construction provides freedom of movement while providing security and structure. The lightweight PU midsole delivers durability and comfort while the high traction rubber outsole with razor siping ensures secure footing . Now that's Uneek. Two cords and a sole.